78 days, 14 hours and 40 minutes. 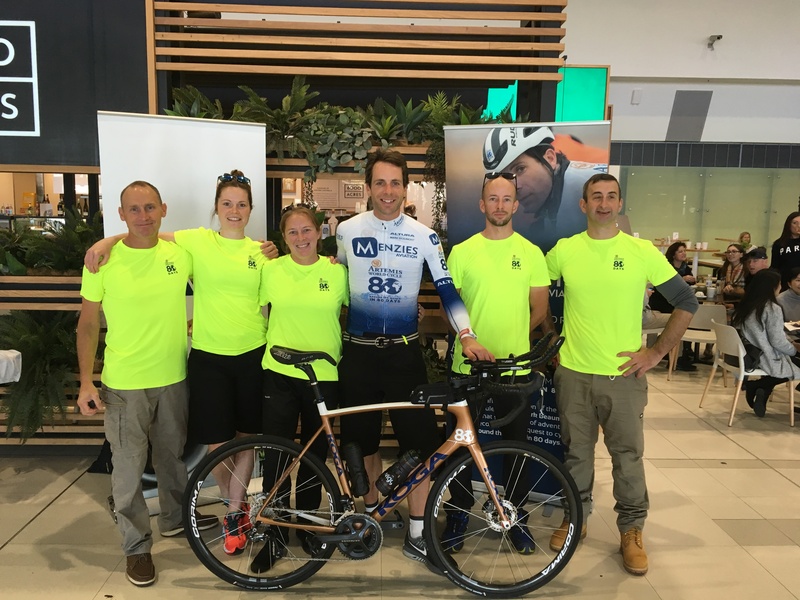 The statistics of a brand-new Guinness World Record for the circumnavigation of the world on a bicycle and the incredible achievements of adventure cyclist Mark Beaumont. He did it! In perspective, Mark has taken an astounding 44 days off the previous record of 123 days set in 2015! For those of you who missed my earlier blog (click here), or failed to notice my absence from clinic over summer (I assume it has been a rather quieter place! 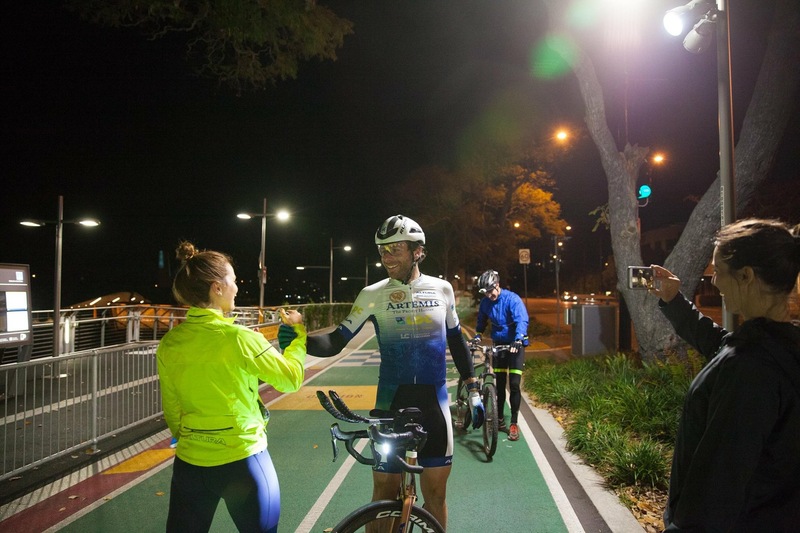 ), I was fortunate enough to have been part of the incredible team of mechanics, logistics managers, drivers, navigators, chefs and performance staff supporting Mark for the Australian leg of his journey. And boy do I feel lucky. You may however have been forgiven for mistaking my gratitude for teenage mood swings during my stint on the road with Mark – after all 4 hours of sleep per day is enough to make anyone cry, laugh and frown all at once. 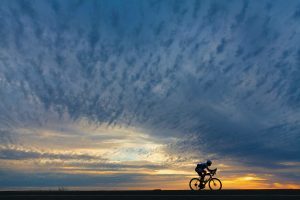 So… just in case you may have thought I was simply sunning myself and drinking some lovely Aussie wine for a month, I thought you may appreciate a small insight into the daily routine of an endurance cyclist and their support team during a world record attempt. 3.15am. First alarm – the fear kicks in. Goal – get dressed and prepare Mark’s breakfast in the motor home whilst avoiding waking him. 3.45am. Whilst Mark weighs himself, dresses (his kit has previously been laid out), eats breakfast, takes his supplements, I prepare bottles and first feeds for on the bike. 3.55am. Media crew film Mark’s start of day interview. 4am. Mark gets on his bike and heads off. Cue manic tidy up of breakfast and we quickly get on the road to follow Mark. 4-8am. First 4-hour cycling block. 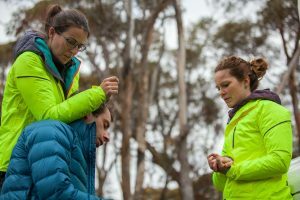 Navigation via Strava route planner and paper maps – with amendments as required to minimise use of rough or horribly busy roads. Driving duties rotated between all team members. Updating of logbooks and washing of lycra – in wet weather Mark could get through 2-3 sets of kit. 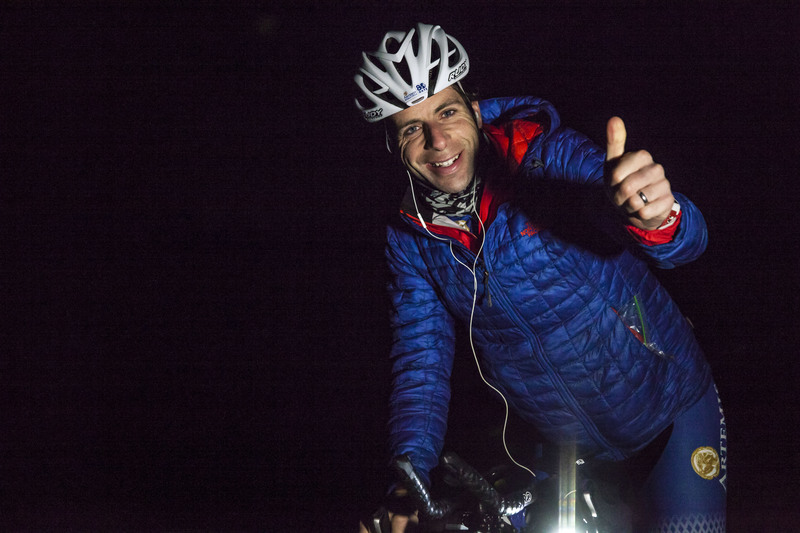 Small meals/Snacks and Fluids provided every 45-60 mins to ensure Mark maintains his energy levels – an astounding 9000 calories per day were required to do so! 8am. Second breakfast and catnap break. At this break, to prevent large time-zone changes across the country, clocks were advanced by 10 minutes. The new time was entitled ‘Challenge Time’. 8.30-12.30pm. Second 4 hour cycling block. As 4-8am. 12.30pm. Lunch and Physiotherapy. See pics for incredible roadside physiotherapy spots! 1-5pm. Third 4 hour cycling block. As 4-8am. 5pm. Second lunch. Physiotherapy or nap where required. 5.30-9.30pm. Final 4 hour cycling block. As 4-8am. 9.20pm. Team locate appropriate overnight stopping place on the road ahead of Mark. 9.30pm. Mark gets off his bike. Mechanic assesses bike for wear and tear and cleans. Media team film end of day interview with Mark and the team. 9.40pm. Shower in motor home. 9.45pm. Evening meal whilst receiving physiotherapy or compression therapy. 10.30-11pm. Bedtime for team following route review for following day and evening meal. 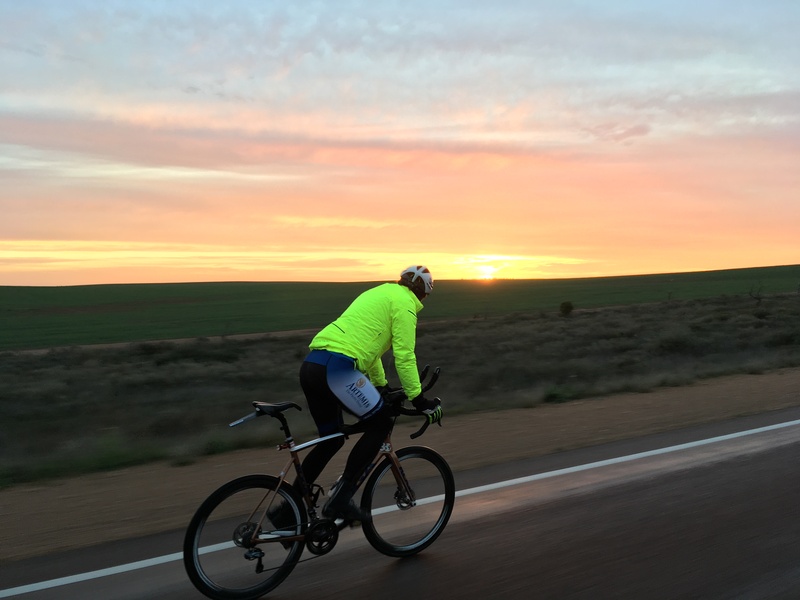 After only 15 days on the road with the team, I managed a 13 hour sleep – undisturbed. Perhaps the most incredible thing to consider in Mark’s achievement, is the extent to which my cognitive abilities had been depreciated after 15 days of this (I struggled to order some food in a restaurant following waving them off at the airport!). Mark repeated this regimen 79 times. Mark’s record was very much a supported expedition. Without the team closely monitoring his sleep, fatigue and fuelling, I fear that Mark’s safety on the road would have been somewhat compromised with such reduced cognition. However, in the cycling community, unsupported endurance cycling events are becoming more and more popular. Crazy or heroic? I will let you decide. Regardless, my respect for athletes who can push their mind and bodies to this extent has grown immensely seeing such an extreme example first hand. 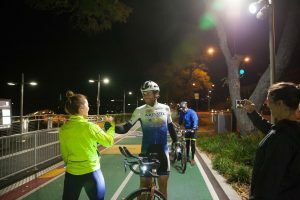 Hopefully many of you managed to follow Mark’s journey, or at least caught a glimpse of him on national TV completing his world cycle at the Arc de Triomphe in Paris on Monday evening. 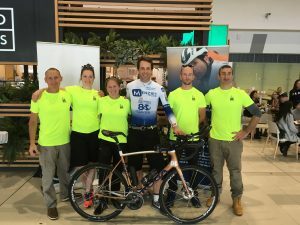 You can see more photos and clips of the entire journey and his recovery as it unfolds at www.artemisworldcycle.com, on facebook @MarkBeaumontAdventures and twitter @MrMarkBeaumont. Otherwise, I am now very much back in clinic and looking forward to seeing both old and new faces in my clinic room telling tales of their personal goals. Regardless of whether that goal may be to climb the stairs at home, or Mount Kilimanjaro, I will be waiting to map out that journey with you.